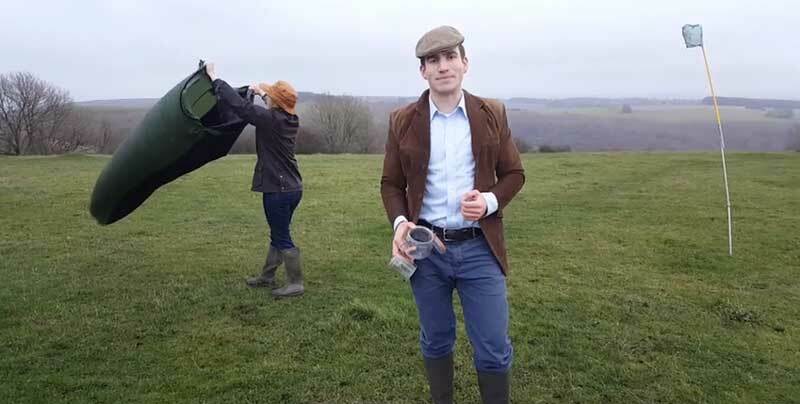 A British businessman is making thousands of pounds out of selling bottled British air to the Chinese for £80 a bottle. The smog-plagued elite of Beijing and Shanghai are snapping up the decanters from Leo De Watts who 'farms' fresh-air from the British countryside. His team of workers put bottles in adapted fishing nets and hold them aloft as they stride through a muddy field to 'harvest' the product. They then leave it open for up to 10 minutes to capture the area's aroma, but also ensure no grass or bugs get into the 'organic' product. 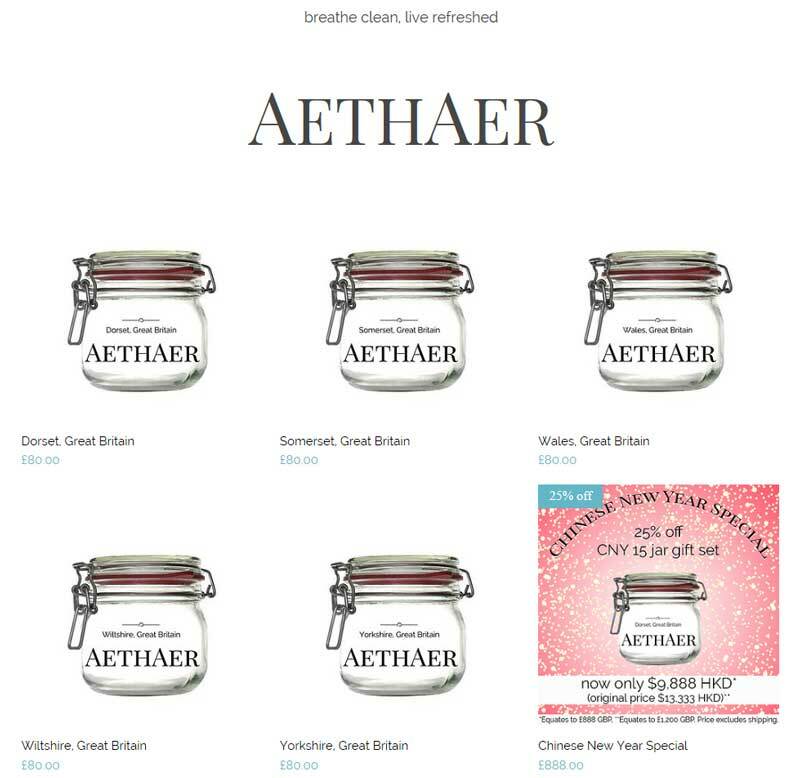 In just a few weeks of launching the venture, Aethaer, which is from the ancient Greek word for pure fresh air, Mr De Watts, 27, has sold 180 580ml containers of breeze from Dorset, Somerset, Wales, Wiltshire and Yorkshire. Once unbottled, the 'experience' of inhaling the fresh-air for the consumer lasts just a few seconds. Mr De Watts, who is from Gillingham but now lives in Hong Kong, asks friends and family members to go out on land that is as far away from pollution as possible to bottle the air. Mr De Watts describes British breeze as the 'Louis Vuitton or Gucci' of fresh-air and said each area has its own unique aroma. 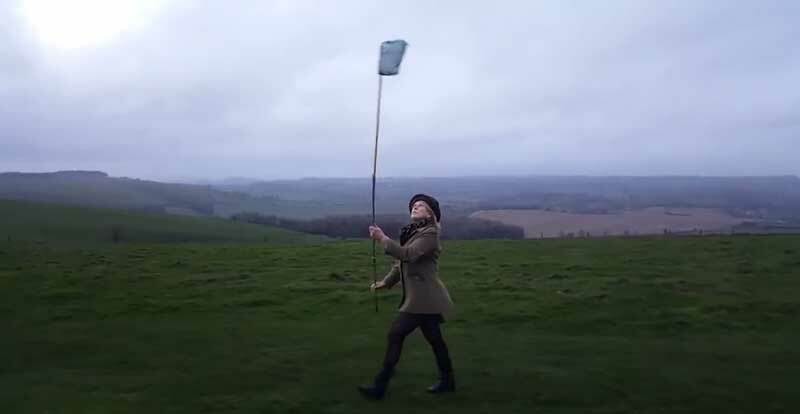 He said: "I would say on the whole that Dorset air seems to pick up a few more scents of the ocean, as the breeze flows up the Jurassic Coast and over the lush pastures. "Whereas air from the Yorkshire dales tends to filter it's way through much more flora, so the scent captures the subtle tones of the surrounding fields, giving different qualities to the collection. We go up to a hill top, for example, and collect all the products there which are all packaged and bottled up, sent to Dorset and then directly to China. Our customers all have high disposal incomes and want to buy gifts for someone or someone wants to use it. There is a serious point to this though as Beijing, Zhuhai, and Shanghai are the major places where pollution is quite bad, whether it is the fault of the rest of the world or its China's responsibility, we have a case of people living in smog." YouTube link. There are more videos here. Although a Canadian company is already sending bottled Rocky Mountain air to China, Mr De Watts is leading the British charge. He said: "I saw a few reports of people importing bottles of air and thought it was a bit ridiculous myself, and then I thought about it. When someone bottled water everyone thought it was ridiculous, now you have Evian and Volvic - why not bottle air? We are priced as is a luxury item it is not for every day customers, if they want something that is cheaper they can buy it. Think of us as being the equivalent of Louis Vuitton or Gucci, so we are not likely to appeal to a mass market. It is really a cottage industry at the moment we have got a few people around the country who go out and bottle it. It doesn't require that many people and you can collect quite a lot in one go and you don't have to pay for it." Don't see why not. Idiots all over the U.S. pay two dollars a bottle for tap water.